CN Brown Energy is the only local, family-owned company bringing New England complete energy options since 1948. You can trust us for your electricity and heating oil needs to cool you in the summer, warm you in the winter and keep your home or business going year-round. 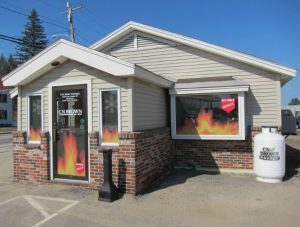 In addition to being a full-service energy provider specializing in electricity, heating fuels, gasoline, diesel and natural gas, we proudly operate 76 Big Apple stores, 26 heating oil offices and 12 service stations delivering to over 100 gasoline dealers. We work hard every day to bring the best possible value to you - through money-saving bundled energy plans, renewable energy, Big Apple rewards, and so much more. Our family business began almost 70 years ago as a retail and wholesale lumber company in Lovell, Maine. Since then we've expanded to include petroleum products and have become a major contender in the competitive petroleum market throughout Maine, New Hampshire, Vermont and Massachusetts. 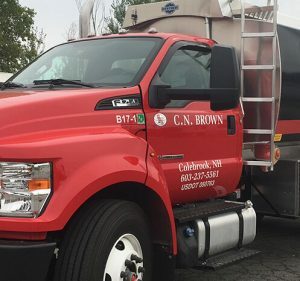 CN Brown Company is a financially strong company that will continue to evolve in the energy field and the convenience store business. Customer loyalty is important to us and our goal is to serve this community and help it thrive while protecting its resources. Since the Maine electricity market was deregulated in 2000, homeowners and small businesses have enjoyed the same savings large commercial users long benefitted from. That's because deregulation promotes healthy competition among providers to offer greater service and affordability for customers. CN Brown Energy has been successful in the wholesale electricity market since deregulation, thanks to customers like you who choose our solutions to lower household costs and increase commercial profitability while being kinder to the planet. home heating & electricity products together.